Live like a locals with Arung Hayat Homestay!! Arung Hayat Mabul lodge is a great pick for divers, non-divers and family leisure. With affordable price and wide range of activities offered, Arung Hayat Mabul Lodge is a nice and comfortable place for you to stay. located just above the sea water, we will bring you to discover the amazing, beautiful and superb scenery of Mabul Island. The clear blue sea water with natural marine and coral reef will surely amazed you. The lodge are built on stilts overlooking the turquoise waters of the Celebes Sea with a splendid sun set view. Our Lodge offers 30 units of semi-detached rooms with private toilet and verandahs. Wake up to the surroundings of the azure Celebes Sea and powdery stretch of beach at your doorstep. Arung Hayat Semporna Lodge is located strategically set on a 0.5 KM from Semporna town. Built from a wooden structure coated with varnish brings the traditional Malays Culture. 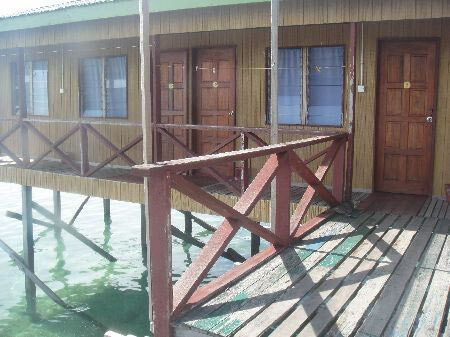 Our Lodge is a place for those who are looking for affordable and budget accommodation in semporna. furthermore, we also provide large parking area that will ensure Security to you vehicle while your in the island or daytrip. Embark on an underwater adventure around Mabul, kapalai, Sipadan and the beautiful Tun Sakaran Marine Park. Explore the amazing coral reefs and natural micro diversity in the ocean floor. Either your Snorkeler or Diver, you will be definitely amazed by the variety of tropical marines species. A world of aquatic wonders is waiting for you. Get your PADI Scuba Diving Certification with us and experience unparalleled adventure and see the world beneath the waves. From Open water course to Dive Master Course we will take you to the underwater world adventures. We pride ourselves on having one of the best dive crews on the island, allowing you to experience the thrill and beauty of the undersea world with complete peace of mind. Arung Hayat Dive Center is one of maximum freedom and adventure within the bounds of safety and consideration for the marine environment. We put a high value on every customer and take no short cuts in ensuring the best experience possible.located just infron of our Arung Hayat Mabul Lodge, Our Dive Center proudly offers an unparalleled equipment for our Diver and snorkeler. Our professionally trained staff is knowledgeable and available to help you plan all your dive/snorkeling trip for your next adventure. Stop in – Experience, Enjoy and Explore Mabul, Kapalai diving at its best! For guests who come from far away, you definitely do not want to miss to explore the beauty of Semporna. We can take you to visit the Semporna historical place such as Bukit Tengkorak". located at least 20 minutes from the city, you will dazzled by the beauty of Semporna that can be seen from the top of the Bukit Tengkorak. To ascend to the top of the hill, you need to climbing up the stairs and it be definitely challenging. In addition, for those who like seafood, Semporna offers lots of seafood restaurant which is very cheap and delicious. 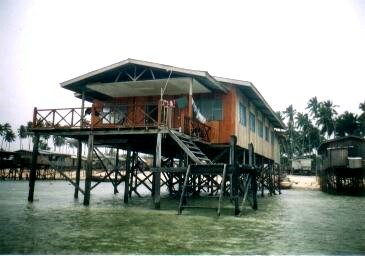 Tun Sakaran Marine Park (TSMP) is located at the entrance of the Darvel Bay just off the east coast of Sabah. It is situated near the town of Semporna which is about 20km away. It is about 45 minutes by speed boat from the jetty to this part of Sabah. The marine park is made up of a staggering eight islands with magnificent reefs and sea surrounding them. The islands which make up the Tun Sakaran Marine Park are Pulau Bodgaya, Boheydulang, Tetagan, Selakan, Sebangkat, Maiga, Sibuan and Mantabuan. These islands are formed from Quaternary pyroclastic material which are excreted during explosive volcanic activity. The marine park was established back in 2004. Located at the entrance of the Darvel Bay just off the east coast of Sabah, It is situated near the town of Semporna which is about 20km away.It is the largest protected concentration of coral reefs in Malaysia at a staggering area of 350km square. The islands which make up the Tun Sakaran Marine Park are Pulau Bodgaya, Boheydulang, Tetagan, Selakan, Sebangkat, Maiga, Sibuan and Mantabuan. There have even been claims by experts that there are higher levels of biodiversity in the marine park than in the exclusive Sipadan Island. These islands are formed from Quaternary pyroclastic material which are excreted during explosive volcanic activity.The marine park has a higher biodiversity of species and habitats such as coral reefs, seagrasses, mangroves and open sea. Siamil, Mabul, Kapalai and Sipadan island are located on east cost of Semporna. It is among the best site for diving, & snorkeling activities in the world. Dive spots are extremely close and can be reached in just a few minutes by speedboat. For diver it is truly amazing place to discover!